While some NFL fans become depressed or move on to basketball, hockey or baseball due to the end of the football season, others like myself and the CPGM Front Office live for this moment to evaluate prospects entering the NFL Draft. The NFL off-season is when NFL executives, front office personnel, coaches and scouts make their money. This is when NFL teams look at their salary cap and try and make shrewd moves to assemble a roster than can get all the way to the Super Bowl and be crowned champions. The NFL unlike the other major sports is truly a league in which teams are potentially one off-season away from making that destined from losers to Super Bowl champions. You just have to get the right players in free agency and KILL the draft. Each week CPGM Headley (Yes third person) will give you a Prospect of the Week that the draft community might be too low on based on what I saw on tape. Nelson is a prospect to watch in the draft process due to his cover skills as he has the movements and short-area quickness to mirror receivers in and out of their breaks. 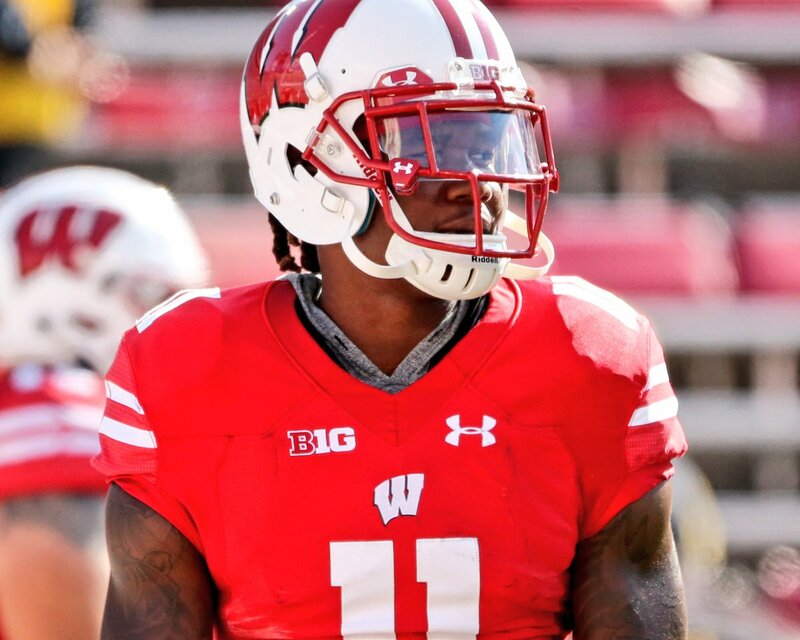 The Wisconsin corner jumped out to me on tape due to the fluidity in his hips and ability to be a complete corner at the next level. Nelson can lock down receivers on the outside in man-to-man coverage or play zone coverage in space. He is one of two players in the Power 5 conferences with 20-plus passes defended this season. His versatility stands out as he is not afraid to be a physical anchor on the perimeter in the running game. Scouts will point to his lack of height and length against NFL receivers, however Nelson’s foot work allows him to stay in phase with no wasted movements. The only real question mark to me is his long speed. Can he cover NFL caliber receivers deep down the field? The NFL combine and team workouts will be huge for Nelson as his 40 time will decide how early he gets drafted. At a position that doesn’t have that alpha lock-down corner ala Marshon Lattimore last season, Nelson is an interesting prospect that can carve out a nice role in the NFL for a cornerback needy team.